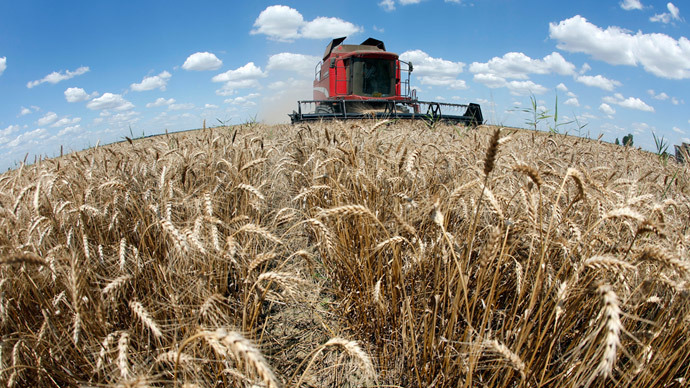 Very few, not least the Ukrainian population are aware of these details, but according to Mousseau, who is a Policy Director at The Oakland Institute, in return for the cash, Ukraine could very well become a test ground for GMO crops in Europe, something the rest of the European Union has been looking to prevent. RT caught up with the Frenchman, whovoicedhis concerns at what may lay ahead. RT:When this $17 billion deal is approved by the IMF and the Ukrainian ban on GM crops is lifted, does that mean it is just a matter of time before Ukrainian farmers grow modified crops? RT:Was it a coincidence or a pre-planned action back in December 2013, when the ban on GM goods was lifted in Ukraine, just weeks before the IMF was supposed to give that county a loan? RT:The president of the US-Ukraine Business Council has said that it is necessary to get the Ukrainian government out of the agriculture business and transform it into a private sector industry. Can we say that America has set its sights on the vast fields that could be a gold mine for agriculture? RT:There is considerable anti-GMO sentiment around the world. If you take this into account, how beneficial would it be for Ukraine to rely on the US-based GMO crops industry?